Massive brushfires reported in Lifta, Even Sapir, Tzur Hadassah. Is it weather or terror? Fifty-one firefighting teams and six firefighting planes were sent to the moshav of Even Sapir on Wednesday, after another brushfire broke out near the town, which is close to Jerusalem. The fire began in a plastics factory on the moshav, according to ZAKA. All Even Sapir residents have been evacuated from their homes. As of 9:15 pm, control has finally been wrested over the fire. 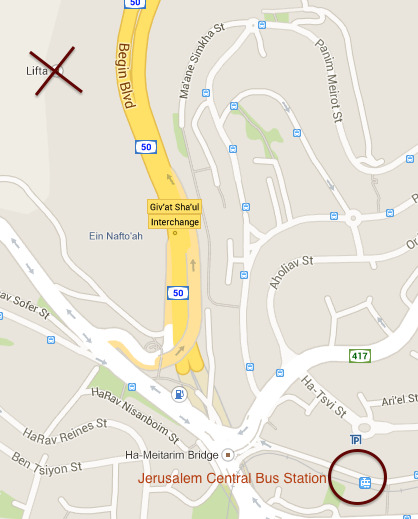 Three homes have been swallowed by the blaze in Ein Kerem, according to recent updates. Firefighting teams have flooded the neighborhood to help stymie the inferno. The nearby communities of Ora and Aminadav have also been evacuated, according to Walla! News, as the fire spreads. 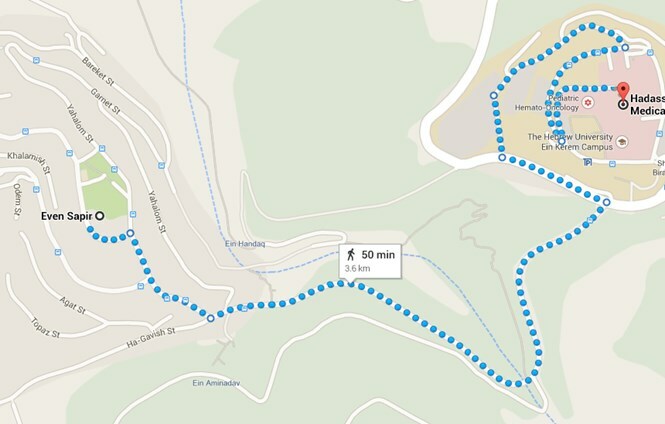 Even Sapir is just 4 kilometers from Jerusalem's Ein Kerem neighborhood and is within walking distance of Hadassah Ein Kerem hospital. Walla! 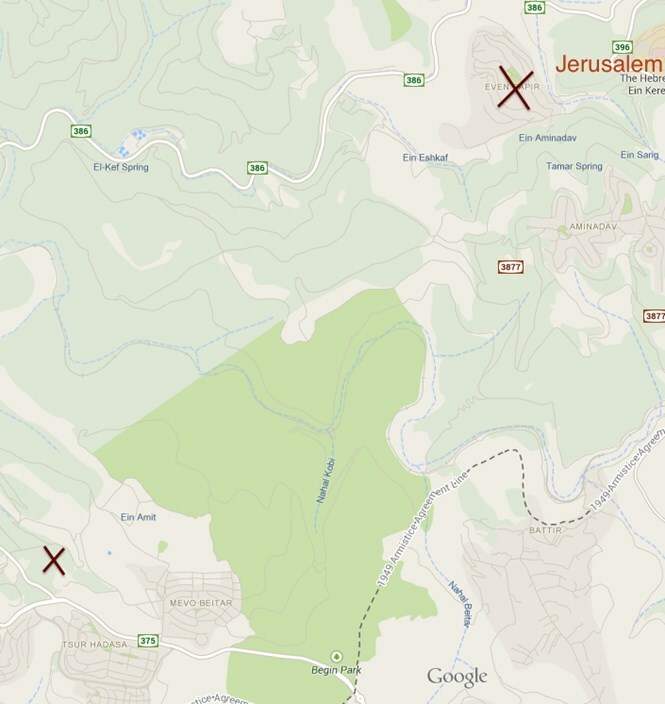 News is now reporting that an additional brushfire has broken out - this time, in the Sansan forest preserve near Tzur Hadassa, close to Beitar Illit. As of 4:30 pm, a third fire had broken out - near Lifta, a nature preserve and historical site preserving the remains of a pre-1948 Arab village just ten minutes from Jerusalem's Central Bus Station. Eyewitnesses told Arutz Sheva that five firetrucks were seen racing to the scene; as of 5:30 pm, that fire has been contained, officials said. Route 1 has now reopened, as of 6:00 pm Wednesday. These fires mark the third fire in the Jerusalem area and the fifth in Israel over the past week, amid suspicions that the series of blazes are the product of arson "terror" attacks. 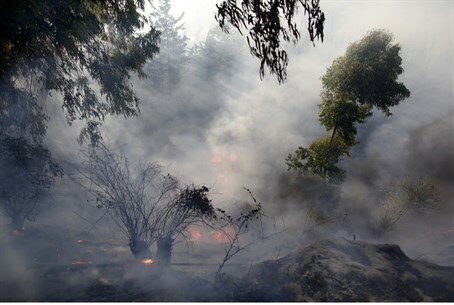 Last week, a massive forest fire broke out in the same area, in the Jerusalem forest; residents of three streets in Jerusalem were evacuated from their homes, as well as several public institutions, including Hadassah Ein Kerem and Yad V'Shem.